The Away Team V2.5: Demo and Soundtrack Released! Today, we are proud to finally announce that The Away Team’s demo and soundtrack are now officially available. Alongside this, we are also releasing a patch that brings in a few new features. The Away Team’s Soundtrack is available for US$5, and includes a mix of 16 ambient and melodic tracks in FLAC format. This has been long-requested, and we’re glad to get the high quality versions of the game’s music tracks into fans’ hands. If you’re new to both or would like to gift both to a friend, we’ve also made the game and soundtrack available together in a bundle. The new Away Team: Lost Exodus demo offers prospective players the opportunity to have some first hand experience with the game before committing to the full version. Including 8 characters, two side missions, two story missions, and one set of random event missions, it’s a little taste of everything. If you’ve been trying to work out whether The Away Team is for you, or haven’t quite found the right way to recommend it to a friend, the demo lets you do that hassle free. The demo can be installed from the Steam store page, and any progress made in the demo will carry across to the full version of the game. Last, but certainly not least, we have released the 2.5 update to the game itself. This is not a large patch, but it does contain a number of small additions that we hope will make players’ experiences more enjoyable. 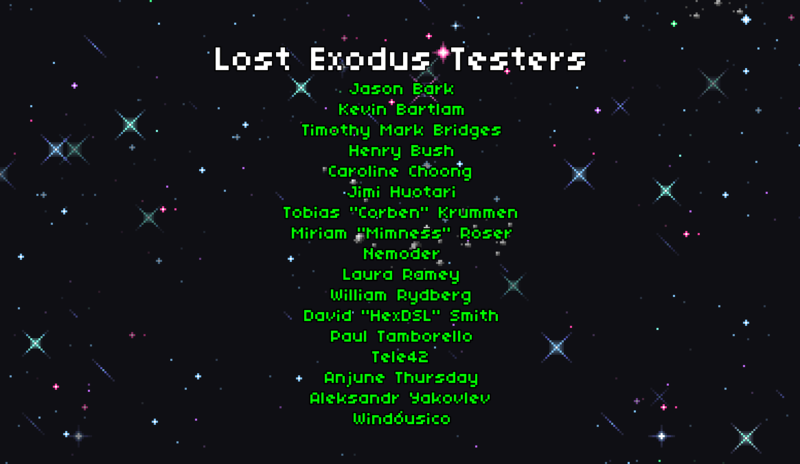 The Away Team: Lost Exodus Released! Hello and greetings Space Travellers! It is with great pleasure that we announce that The Away Team’s Lost Exodus update is out and available to play right now! We partnered with long-time fan Jason Silverain to put together an introduction to the new in-game character editor. 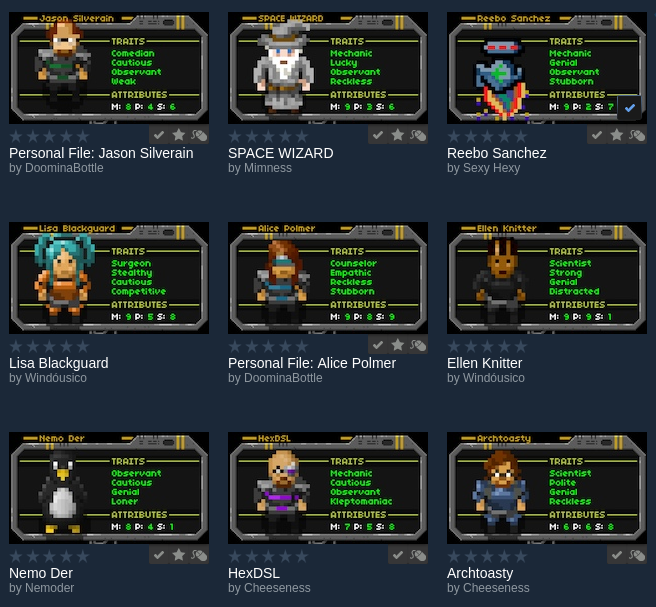 Some of our wonderful testers also uploaded their own characters to the new Steam Workshop page for you to take with you on your adventures across the universe. We’re publishing write-ups that delve into the kind of effort we put into the Lost Exodus update on the Underflow blog, in this post, we take a look at the process behind expanding and refining the design of the Argo. Lastly, we’d like to extend a thank you to everyone who has been patient as we put this update together, and an extra big thanks to those who helped us test the game and make sure it was ready to come out of the oven. We are proud to announce that The Away Team’s upcoming update, Lost Exodus, will be launching on Steam and Itch.io on October 22nd! Lost Exodus polishes and builds upon The Away Team’s core choose-your-own- adventure and real-time space exploration experiences by adding more content, improved gameplay, and an in-game character with integrated Steam Workshop support. Additionally we are announcing today that the game’s base price will be increasing to $8.00 to coincide with the update’s release. A lot of effort, talent, and love has gone into making both the original game and this update, The new price of $8 will better reflect and honor that. If you’d get in early and pick up The Away Team or gift it to a friend at the lower price of $2.00, we understand. The Away Team has been released on Steam!